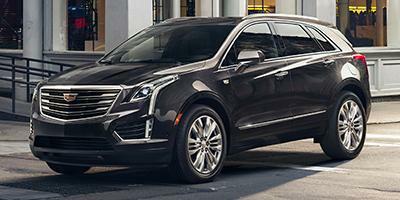 The Cadillac XT5 is a cutting-edge high-end crossover SUV crafted for adaptability and with advanced tech. It comes equipped with the V6 engine and precision shift technology, keeping you in total control of the road. Technology lovers will enjoy the built-in Wi-Fi and an eight-speaker sound system that is standard. With sophisticated safety features such as Side Blind Zone Alert, a rear vision camera to protect against collisions while reversing, and Lane Keep Assist, this crossover looks out for you and your passengers. Stop by your Cadillac dealer near Raleigh and Durham. We have a large inventory of new Cadillac models. Explore the inventory and choose the vehicle with the color and options that are right for you. You can also take a new XT5 for a spin. Give your local Cadillac dealer a call at (919) 764-0345 to schedule an appointment today. You can also request a quick quote at our dealership. We will be happy to help you out.